Even as a child my heart was shot with an arrow of love from my first hearing of the Second Piano Concerto. Since I have learned to play anything written by this man that is within my powers; like the Prelude in C#m. The thing that makes him so important to me is his indelible connection to the compositional patterns of Bach. Amidst a chorus of complex rhythms, insane meters, and ground breaking demands upon an artist's physical strength, there is always a simple, limpid and even loving embrace of fluid grace in all his music. I call attention most particularly to the second movement of the piece mentioned above. Whilst the pianist labors over the keyboard in what seems to be an attempt to place every note into rapid and repeated use, a melody of the most enthralling and insightful grace overrides all of this, making what is truly a complex creation so easy to grasp. So much Romantic music and too much Baroque and Classical music was intertwined with a theme that played in equal balance with itself and others in a way that was admirable and certainly genius but never such a dichotomy of complexity and simplicity was heard as was at the fingertips of Rachmaninoff. Certainly he has many peers who deserve accolades of equally flowery praise but his tortured soul was worn on his sleeve in his music. He bore his inner soul and inner torment as well as his inner joys and placed them out there for all the world to see; unashamed to reveal himself to others. I feel honored to hear his music for I know that in those notes, he is sharing with us his private self normally reserved only for your trusted friend, spouse, councilor or pastor/priest. For his willingness to open his heart to the world and be honest about who he was and how he felt, without apparent shame or fear, I thank him. I feel so often that we have gone through the same things in life and have struggled with the same challenges and feelings for I hear myself when I hear Rachmaninoff. I also rebuild reproducing player pianos as a part of my career and so have been able to hear precisely reproductive music rolls containing his own personal performances of his own music. These records of his performances of his own music deepen and strengthen my knowledge of his great genius as a pianist and a composer. They also open up the man willing to let the world see that life had not always treated him as well as he could have hoped. Yet he also shows his power to overcome and find joy in life. If joy would not come to Rachmaninoff, then he went to the joy. You can see this very same principle if you just look deeply into his eyes. Where else could i get that type of information, written in such a perfect way. I have a project that i am just now working on, and I've been on the lookout for such information. What a amazing collection of articles found in this website. I would like to say big thanks for sharing this post. keep it up. I saluted Sergei Rachmaninoff because this is really an awesome piano master and my favorite. I am very happy to see this Sergei Rachmaninoff post. 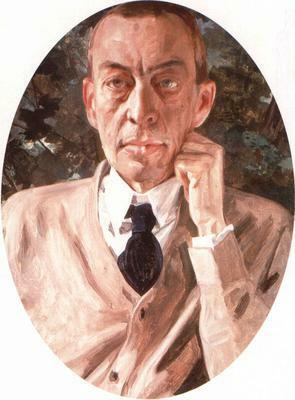 Thank you for publishing this article on Sergei Rachmaninoff. A lot of our readers will benefit from the information that you have presented here. I must let you know that I have learned a lot from the article.